laissezfaire: $75 Giveway from Beaucoup to readers of Laissezfaire! $75 Giveway from Beaucoup to readers of Laissezfaire! There were 22 people that took part in this giveaway and we have found a lucky winner! 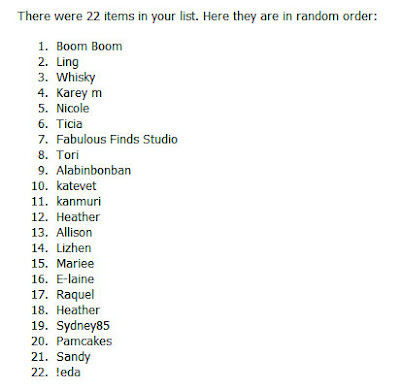 Congratulations to Boom Boom who has been selected by a random generator to be on the top of our list to win the US$75 giveaway from Beau-coup! Enjoy! We have a special surprise for you lovely readers of Laissezfaire! Beau-coup is offering a $75 gift card to one lucky winner towards anything on their site! Beau-coup carries everything from wedding favors to baby shower favors, birthday party gifts and decorations, and just in time for all the fall festivities Fall wedding & party favors and Halloween party favors! Their unique party favors are amazing! Check out their fall themed playing cards and gorgeous paper lanterns that will lighten up any fall garden wedding party. 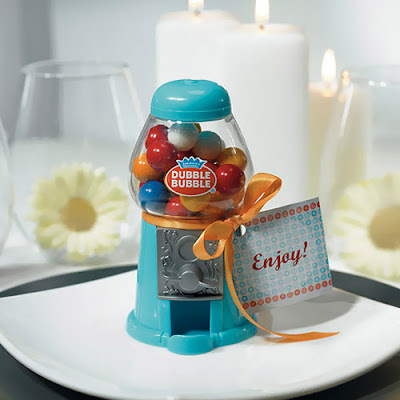 Their mini classic gumball machine is bound to make that Halloween treat extra special for kids! And if you’d rather DIY, their favor packaging is too adorable! 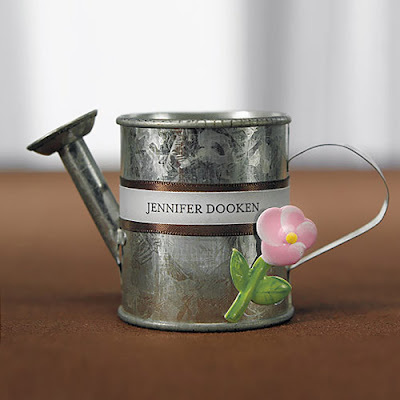 I simply love these miniature pails above and miniature watering cans! Just top it up with your favourite candy or seeds to make the perfect gift for your guest to take home and definitely keep! HOW TO ENTER THIS GIVEAWAY TO WIN A $75 GIFT CARD! • Giveaway ends Thursday, October 29th at midnight PST. Winner will be chosen randomly and announced on Friday, October 30th . Good luck, everyone!! I love the dubble bubble machine, it would be so cute for a kids party! Love the baby piggy banks! i'd like to give them at a secret santa party, so me & my friends can save to travel together! Yeeah! I actually love the beach themed items. My brother and his fiance are having a beach themed wedding and some of those favors would be perfect for them! i would love the paper lanterns. my loft needs some color! I am going to stock up on the beaded organza tags with tassels and other organza bags...so pretty! I just have to get those gumabll machines! Perfect party favors for my daughter's candy party! Love the mini gumball machines, glass spice jars, chinese take out boxes, snow flake stoppers, piggybanks and airplane keepsake box. I would love to have the buckets and hand fans for my spring/summer wedding! I would also probably grab lots of ribbons and accent bits for decorating. The cherry blossom favor dishes are gorgeous... I can see them at the dinner table! and just for fun, the Mini Classic Gumball Machines...how adorable ! oh, for me it's the turquoise gumball machines! love love love. The mini classic gum ball machines! So retro, bound to be an eye-catcher, talk-of-the-day door gift for a christmas party!!! Oh its so hard to chose, there are so many wonderful items. 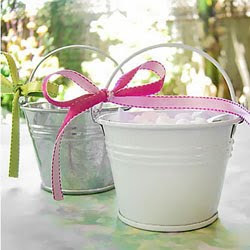 I think I would start with some paper lanterns, and M&M tins, for my daughters baby shower. I love the cupcake baking set and the bridal shower bingo! My good friend's hen's night is coming up soon, and these would be lovely complements for her bridal party! I love the gourmet cupcake baking mix and individual towel cakes. So pretty! I love the mini gumball slot machines! 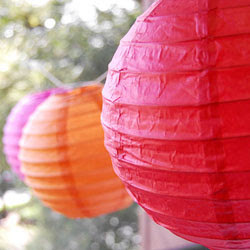 I adore the paper lanterns. I want to set up some in my dining room to make the winter feel more cozy. The silk fans are also gorgeous and the colors would be stunning as a wall display. Thanks everyone for joining this giveaway! Will be selecting and announcing the winner on Monday, Nov 2! Sit tight!